Our boomer empty nest clients live in a 1915 Tudor Home in the Kingfield Neighborhood, Minneapolis, MN. In this project, we’ll be remodeling a Kitchen. We are also creating a new larger Master Suite by opening up a bedroom to the sunporch and expanding the small Master Bath. In addition to the bath in the Master Suite, we also are remodeling a second bath. 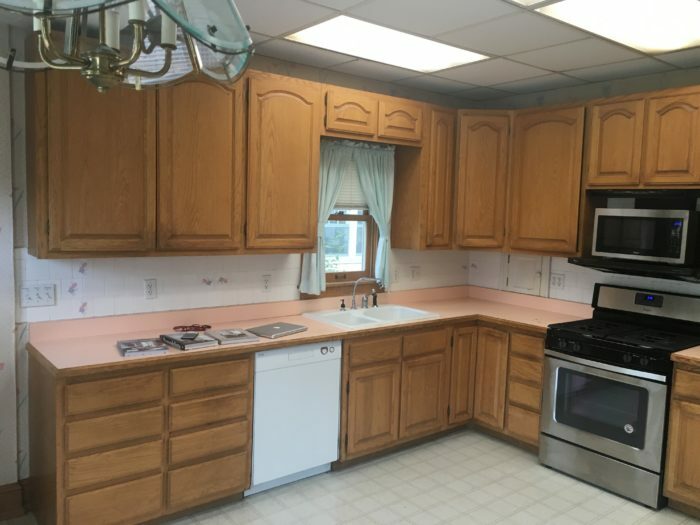 Kitchen Before: The existing Kitchen was previously remodeled in the 80s. The new Kitchen design will reflect our clients' simple European style while complimenting the original finishes in the home. Completely remodel the Kitchen; Updating finishes, improving layout, and correcting structural issues to bring it up to code. Create a larger Master Suite by combining a bedroom with a sunporch, and remodeling the Master Bath. 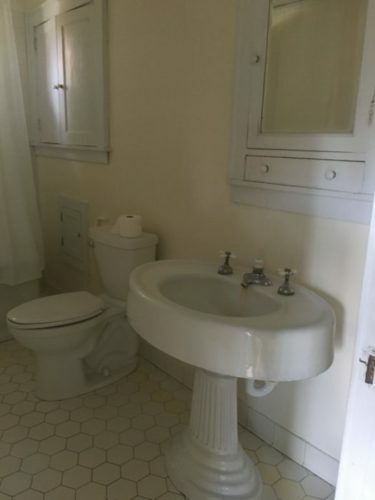 Update a second original upper bath, finding a balance between modern materials and the original character of the house. 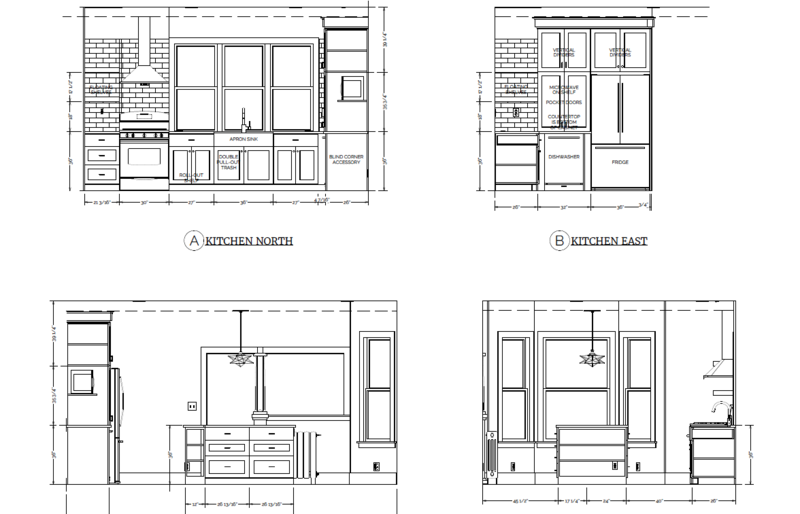 The elevations for the new Kitchen remodel. 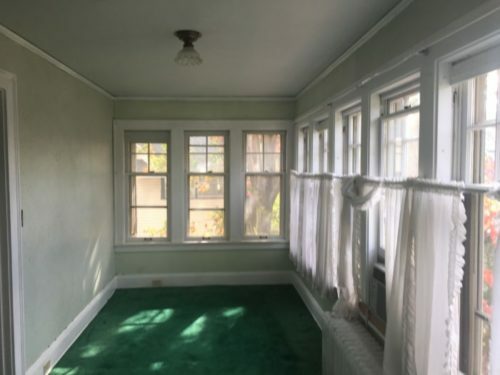 Sunroom Before: We are opening up a bedroom to the porch to create a large new Master Suite. Master Bath Before: This small bath will be combined with a sun porch and current Master Bedroom to create a new larger Master Suite. 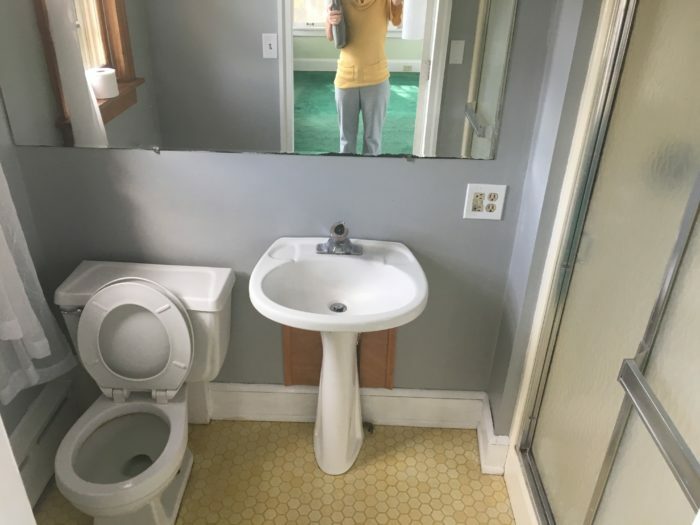 The second Bathroom before the remodel. The elevation of the second Bath shows what it will look like after the remodel. 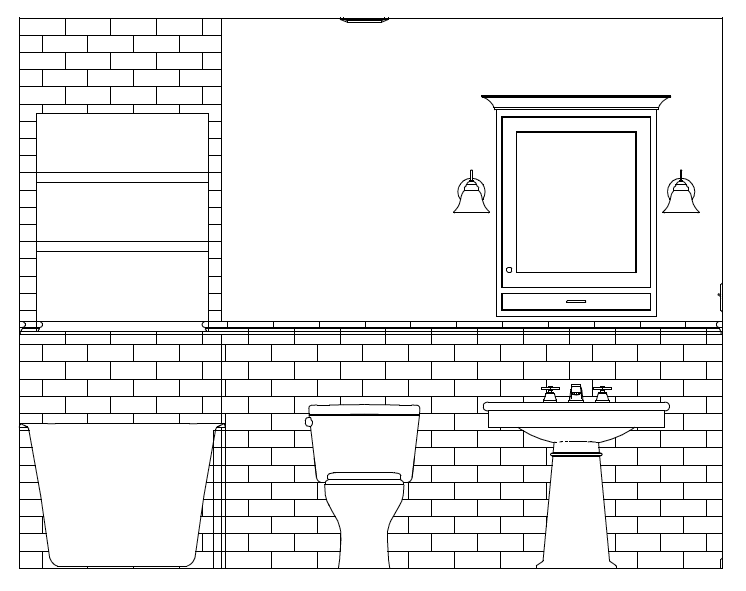 Next up…Take a look at the design for this kitchen, master suite, and bathroom remodel.